SHANGHAI (Reuters) - Volkswagen plans to build a fully electric sports utility vehicle (SUV) for China from 2021, taking on the Chinese market leader Tesla's Model X as the German carmaker ramps up production of zero emissions vehicles. 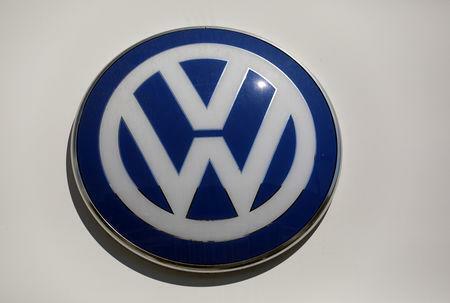 The planned new SUV is the latest move in Volkswagen's aggressive growth strategy in China, where electric cars are given preferential treatment by authorities. VW said its ID ROOMZZ, which it presented in Shanghai on Sunday, will have three rows of seats and an operating range of up to 450 kms. The concept car is capable of a "level 4 autonomous driving", VW said. "We plan to produce more than 22 million electric cars in the next 10 years," Diess said, adding that around half of VW’s engineers were working on products destined for China. To enhance the VW Group's research and development capabilities, Volkswagen and its premium brand Audi will combine their R&D operations in China.